After a relatively quiet weekend last week, things picked up this week with runs spreading across the north of the Country to participate in races of all distances. Firstly on Wednesday April 3, Alan Wilks made the journey to South Shields for the monthly mile organised by Run Eat Sleep, South Shields. Alan finished this in 6.41 despite an icy wind howling off the North Sea. Next up was Albert Parkrun on Saturday where Mark Wade secured a PB of 17.06 which placed him third on the day. The busiest day was Sunday when we had members competing in four different races all across the North of the Country. First up was Richard Holland who took place in the Forestry 10k at Hamsterley Forest. This race was a race of two halves with the first being uphill and then a more pleasant descent for the second half. Richard completed the race placing 7th in a time of 43.23. Next up was Alan Wilks again who took part in the Blyth 10k. This was a race that was part of the Masters Association. Alan had a great race finishing in a time of 44.02. This meant that in the Master results he placed 4th but was second in the over 70 category. Next up was David Stothard who travelled even further North for the Druridge Bay Half Marathon. This is a two lap course of Druridge Bay Country park which includes running on the beach and through the sand dunes to passing the freshwater lakes and surrounding meadows and woodland. David completed this race in 2:05:44. 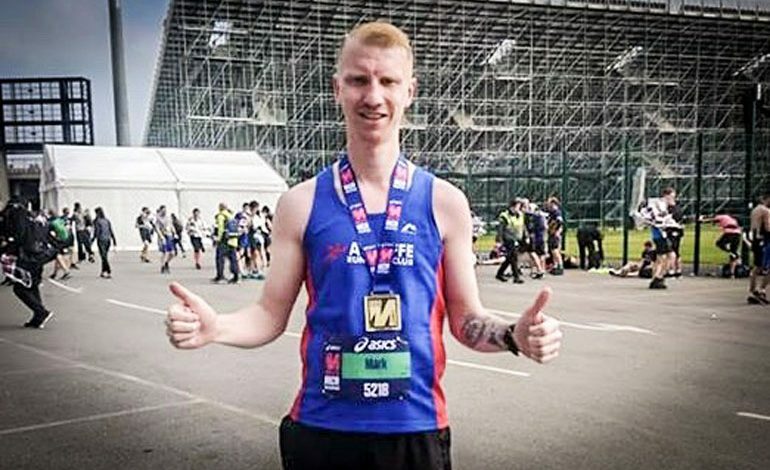 Last, but no means least, is Mark Bainbridge who travelled to Lancashire to participate in the Manchester Marathon. Mark completed this marathon in 3:59.11 (also attaining a PB). For anyone interested in joining the club, you can simply turn up at one of our sessions all of which start from the Oakleaf Complex in Newton Aycliffe. Monday night is beginners run at 6.30pm, Tuesday is endurance/speed session from 7pm, and Thursday is a track session and this takes place at Shildon Track. Further details can be found on our website or facebook pages or alternatively you can message the club via facebook for more information.